Another one we regularly hear is that fruit juice is good for you. An essential part of a healthy diet. Not only does it provide high levels of Vitamin C, but many other minerals and vitamins as well. It’s the easy way to get all of the benefits of fruit without the hassle of eating it. Once again, sadly, this just isn’t the case. However, it’s easy to see why people still believe this is true. After all, fruit juice is a natural product. It’s got “fruit” on the label. Even better, the amount of Vitamin C it contains is listed on the back of the carton. So how could it not be good for you? Well, let’s stop and think about it for a moment. Why do we enjoy fruit juice so much? Quite simply because it’s sweet and easy to drink. And this is where the problems start. At its simplest, fruit juice is really just sugary water. Or if you want to get technical, fructose laden water – fructose is the sugar found in fruit. A standard can of coke (330ml) contains 140 calories and 40 grams of sugar. Or, put another way, a massive 10 teaspoons of sugar. The same amount of unsweetened apple juice contains 155 calories and 31 grams of sugar. That’s nearly 8 teaspoons of sugar. Unsweetened orange juice contains 160 calories and 30 grams of sugar. 7 ½ teaspoons of sugar. And, don’t forget that many juices are sweetened, so containing significantly more calories and sugar. As do many combined or named juices. A good example of a juice that needs to be sweetened to make it drinkable is cranberry juice. By the time this is done, it’s very like coke in terms of the calories and sugar it contains. This means that a 330 ml glass of cranberry juice contains 180 calories and 35 grams of sugar. 9 teaspoons of sugar. At the same time many of the fruit’s benefits are lost by juicing, particularly fibre. This provides the bulk needed by the Digestive System to function effectively, as well as the necessary environment for the so called “good” bacteria which help digest our food. However, fibre plays another important part in digestion. It slows down the rate at which the sugar is released from the fruit and enters the blood stream. Without it, sugar hits the bloodstream very quickly after being consumed – and in larger amounts – causing a huge spike in blood sugar. This is the reason why many people experience a “sugar high” after consuming sugary foods or drinks followed by a crashing “low”. As levels of blood sugar rise, insulin is released to bring it under control, with sugar being sent to the Liver to process. If there’s more than the body needs, it’s then converted to fat and stored in body tissues. And, for those people who are thinking that fructose is different to sugar, there’s bad news. So far as the Liver is concerned it’s exactly the same thing and dealt with in the same way. Controlled metabolic studies have found that consuming liquid sugar, ie, fruit juice, can cause insulin resistance, raise cholesterol levels and increase the accumulation of abdominal fat in as little as 10 weeks. It was also found that simply adding a glass of fruit juice each day to the diet led to insulin resistance and weight increase in less than three months. Added to this, liquids don’t fill us up like foods do. It’s very easy to consume much more than you realise in one serving and then to feel hungry – or thirsty – again very quickly. Allied to this research has found that when we eat more of a whole food, say potatoes, on a daily basis left to its own devices the body compensates by eating less of something else. However, this doesn’t occur when one drink is replaced by another, say water by fruit juice or a fizzy drink, making it easy to pile on the weight without even realising it. Nor does it apply where processed foods are eaten. It’s though that this is due to their poor nutritional content which fails to trigger a feeling of fullness, leading to more being eaten as the body tries to obtain the nutrition it needs. This is why many people feel hungry shortly after eating their favourite fast food, leading to disastrous consequences. It’s also the reason why so called “healthy” options such as low fat, low sugar and those with artificial sweeteners never seem to fill the gap. 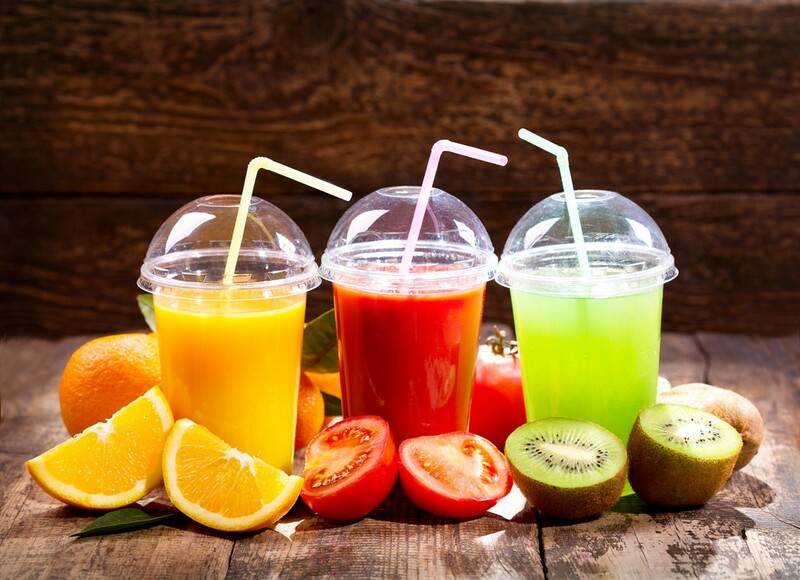 Finally, many of the minerals, vitamins and antioxidants naturally contained in the fruit are lost during the juicing process itself or the subsequent pasteurisation, needed to ensure a long shelf life. Antioxidants, particularly Vitamin C, are particularly prone to this and start to be lost as soon as the fruit is cut. To compensate for this, many producers actually add Vitamin C to the finished juice, in the form of citric acid (!). Sadly, the majority of people are already eating far too much sugar in various different forms each day. The tiny amount of nutrients in fruit juice simply don’t compensate for adding yet more sugar to the diet. As so often is the case, the answer is quite simple. Enjoy your fruit whole. That way you’ll get all the benefits from it without the false sense of security that fruit juice provides. And, for those of you who aren’t quite ready to do without their fruit juice “fix” (!). then make it an occasional treat diluted down with water.